The Elder Scrolls V Skyrim Special Edition brings the winner of more than 200 Game of the Year awards to the latest generation of consoles. Included as well are new characters, environments, and weapons for you to use during your quests in The Elder Scrolls V Skyrim Special Edition. Dragons, long believed to be consigned to history have reawakened in the kingdom of Skyrim, and it is up to the prophesized Dragonborn to harness the power of The Voice before the entire kingdom is torn apart by dragonfire. The Bethesda Softworks The Elder Scrolls V Skyrim Special Edition Xbox One Game was added to the Xbox One Games category in July 2017. 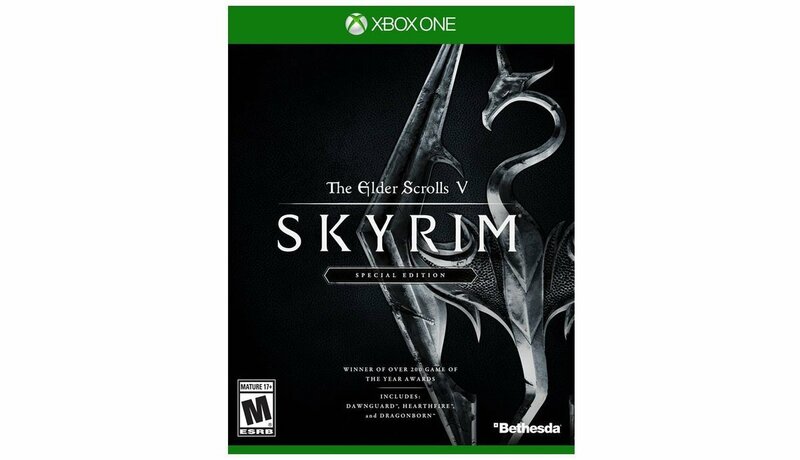 The lowest price GetPrice has found for the Bethesda Softworks The Elder Scrolls V Skyrim Special Edition Xbox One Game in Australia is $40.00 from The Gamesmen. Other merchants who stock it are The Gamesmen, Mighty Ape, Amazon AU, DVD Land.